Jen: He is speaking on the phone at the moment. Sal: Then tell him to hang up, because I have Phil here to talk about the phone detecting thing. Jen: Ah! She's got, she's got..
(A voice is heard in the background). Jen: She needs you urgently. ( A voice is heard in the background saying that he will ring back in a couple of seconds). Rob: I'm sorry (laughs) sorry. Ahm..you probably don't know me, I'm the man (inaudible) on the television at the moment. Phil: I'm fine..at the moment I'm at Sally's house. Phil: I'm a police officer from the UK. Phil: Ahm..Sally told me about your mobile, ahm. Rob: Signal, I have just, I have just been informed, they tell me that the signal of my two mobiles can be followed. Phil: They can do this (inaudible) respectively. Rob: What, what does that mean' Sorry. Phil: There is a thing called search analysis of a mobile. Phil: Yes, of course, yes. Rob: Search analysis of a mobile. Phil: Certainly, yes, it does not show where you were. Phil: It only shows where your phone was, but.. Rob: Ok, ahm...but maybe it helps. Rob: And the simple fact that probably you have already heard this a million times, I am completely innocent and simply I have.. you know, I can't manage to prove that this happened, ahm, and the simple fact is that I am trying to arrange ways of proving where I was. Rob: At the end of the day. Rob: And this is a way of trying to do this, I did not know that this was possible. Phil: Well, this really depends on , on the number of satellites, where you were. Phil: Normally as regards mobiles it can be anything between three and seven satellites. Rob: Three to seven satellites. Phil: And ahm.. this determines...if they were, if they were..lets say, three could locate close to a hundred yards (2.74m) or thereabouts. Rob: So, about 100 yards. Phil: Yes, a hundred yards or thereabouts, yes. Phil: Ahm... and the more satellites, the more satellites there were, more..
Phil: The closer, they could give a certain location. Rob: Fantastic, but for example if I were to move, with these, withese satellites, with these phones.. Rob: But you know, what happened was, I was here all night. Rob: Thats why, if I were, ahm, if I were accused of something then I would have had to have moved from here. Rob: I would not be at the, the , the site, now I can't remember if I made any calls from these mobiles. Rob: And find out whether I made any calls that night with that phone. Phil: Well, they have the history of your calls, ahm.. Rob: Well they have of course, of course they have my phones at this moment, thats why.. Rob: Yes, thats why they have my phones, my computers, everything. Rob: But at the end of the day I have nothing to hide, whatever it might be. Rob: I think not, I'm not sure, I don't remember to be honest. Phil: Because, again they can search the .. the history of the computer, thats why..
Phil: If you had used your password. Rob: Again, again, I gave them everything, thats why they have everything.. Rob: I have nothing to hide, whatever it might be. Rob: I didn't do anything. I'm being crucified. Rob: The whole of my life is being crucified. Rob: And...my family are all being crucified, ahm...but I must say that the Leicester police have been absolutely fantastic with my family, even, even helping them. Rob: I even asked someone from the press to thank the Leicester police for all the work they have done and looked out for family members. Phil: Yes, and it is better to leave this to them (inaudible). Rob: They have been fantastic. Phil: (inaudible) another perspective, another perspective. Rob: If I manage to think of other perspectives that could.. Rob: Ahm... from the technological point of view, that could place me or situate me, or anything else.. Rob: Please tell me because I am trying some things to see, to prove what I was doing. Rob: But, as I have already said, I am desperate really, aren't I' You know, they are trying to paint me as a kind of malignant armadillo, when I did absolutely nothing. Rob: When I tried to help. Rob: Ahm..it is..it is..I have to say That I am very frightened, when they began, when they began to join things together and ahm...I know that I didn't do anything. 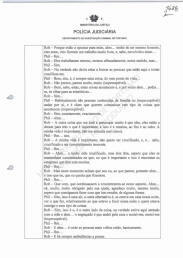 Phil: They have to behave themselves reasonably well because of the â€œsub justiceâ€� aspect. Phil: But it is clear that with national (inaudible) it is not put into doubt, but the (inaudible) because now there is an international press, Sky TV can be seen all over the world..
Phil: And these kind of things, that why I don't...I'm very.. I'm not familiar with the Portuguese work. Phil: Ahm...from what I have seen up till now (inaudible). Rob: Thats right, ok (laughs). Rob: Well, I wanted to say, I, I have been translating (inaudible) during the last few days. Rob: And the work they are doing there is absolutely, it even goes into the details, its really good, they follow all leads, of everything in every sense ahm.. and they, they are doing a really good job, I must, I must say, unfortunately I am at the wrong end of it at the moment. Rob: Ahm, I have to be honest, honest about it even though I hate (inaudible). Rob: Because they are focussing on me, ahm.. I have to be honest, they are doing a very good job and you know they are involved in this.. Rob: They work even, even in a very consolidated way, in this sense, but.. Rob: Really I shouldn't be criticising the people who are trying to crucify me. Phil: Well, yes, there is one thing, from my point of view..
Phil: Well, you know, these things happen and sometimes, ahm..you could look at other statistics..
Phil: Normally they are people who are known to the family or (inaudible) who are around and its clear that they want to communicate these kind of things that happen (inaudible). Rob: The other thing that worries me a lot is that they, they are leaving behind what is important, the little girl at the end of it all. My life is important, don'' get me wrong (laughs). Rob: My life is important, I don't want to be crucified and, and crucified and being completely innocent. Rob: Ahm..and I have been crucified, but they have, I hope they remain concentrated on that which, that which is important and that is finding the aggressors who have the girl. Rob: I think that at the moment that only I, however ahm.. that is what I, I want them to do. Rob: That with, that they continue to concentrate on this aspect. Ahm, ok, very, very much obliged for your help, I thank you very, very much, I hope that we manage that this has some result, in some way. Phil: Yes, this is an alt, another alternative is that if you were at home that night, see what you were doing, with relation to what you were doing that night and who was with you and this type of thing. Rob: Yes, that is the other side of it, the truth is that I was sitting here with my mother and ahm..I walked around the house and sat down, sat down (inaudible). Rob: And ahm..this is where the oldest people live basically. Rob: There are always ambulances passing by. Rob: And I was helping my mother do some little things, I think she arrived home at about eight ahm.. and I was..I think that I arrived first, I am sure, I think I am almost certain that I arrived first. I cannot remember exactly, that is the problem, I think I arrived first and joined her when she arrived and ahmm..basically I was here all night talking and laughing and that, we heard some sirens pass and I said on, that is just (inaudible) (laughs). Rob: That a girl has disappeared and that everything led on from there is a hell, it s a hell. Rob: But now I, I..what I am going to do now is to contact my sister, she is prepared to give a statement to the Leicester police. Rob: Ahm.. I'm going to ask her to ask whether they ca, whether they have legal authority to do this mobile thing. Rob: I have an English phone and another Portuguese phone, I carry both of them with me. Rob: Thats why I'm trying to find out the perspective of the English phone. Phil: Yes, but they could do the same with your Portuguese phone. Rob: Right, but I don't know whether they have permission to do this, thats the problem. Phil: Normally not..in the UK you need an authorisation to do this type of thing. Phil: Ahm and (inaudible) nut this is clear (inaudible) without your knowing. Phil: Ahm..but, but if you were to speak to Leicester police..
Phil: They would have a mechanism for doing this, now.. Rob: That, that is what I would like to try. Rob: And..I want to say ahm..at the end of the day, I, I know where I was, its simple. Rob: And I was not in another place, if you want to know (laughs). Phil: Well, they don't detect the signal, they can obtain the calls made and the calls received..
Phil: If you were at home and somebody called, then.. Rob: I think, I think..I can't remember at what time it was, but I think I phoned my daughter, ahm..although I didn't speak to her, I left a message on the answering machine. Rob: Because I think they were not there. Phil: But I do not remember exactly at what time that was. Rob: Ahm..but I hope that it could have been at about that time. Rob: However, I hope it was by phone, the phone in the house.. Rob: I hope that this places me in a completely different site, at the site where I know I was. Rob: But this is what I am going to try and do now. Phil: All these things could..
Phil: They could detect the place where you were (inaudible). Phil: Well, I could look into that, frankly I think not, but.. Rob: Good, when we talk about this, he says he finds it strange. Rob: He was curious (inaudible). Rob: But only about this. OK! Phil: (inaudible) they, they are technicians, in any way they will soon identify this, yes. Rob: OK, sir, I thank you very, very much for your help. Phil: Thats OK, mate, be well. 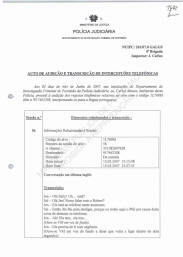 There not being more to transcribe this file is signed. 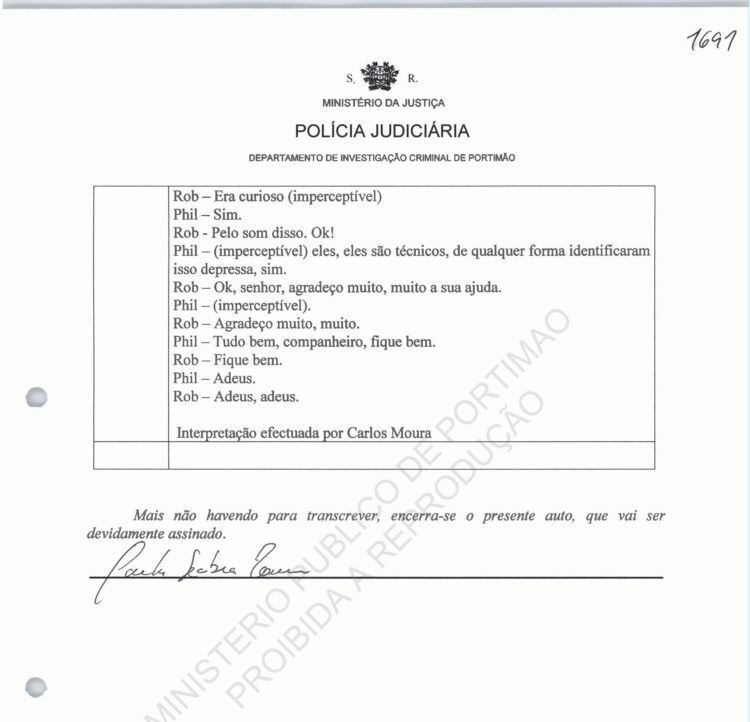 --- Not knowing the Portuguese language either spoken or written form he was assisted in this act [interview] by the official interpreter of the Judicial Police/ADT, Carla Romana Fidalgo Esteves. --- That he is a Detective Constable in the English Police, stationed in Thames Valley Police, but currently is detached to the Department of Criminal Investigation Support of the English police. --- That he has been coming to Portugal for several years to spend holidays, usually to the area of Burgau - Luz - Lagos, having even purchased an apartment about 3 years ago in the area of Luz, which was only completed during this year. 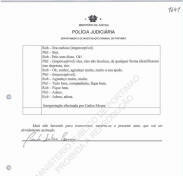 He states that the apartment in question is located in Vila Baia - Jardim da Luz - **************** - Praia da Luz - Lagos. --- He advances that he began coming to Portugal for holidays in the company of his family, namely with his brother-in-law G***** T*****, he being certain that on one of his trips he stayed as a guest in the residential boarding house called "SALSALITO", whose owners are Ralph and Sally Eveleigh. With the passage of time and having stayed there several times he ended up establishing a relationship of friendship with the couple. --- He states further and recalls that in mid-2005 he met their nephew, Robert Murat, with whom he has had several casual contacts, always at the boarding house, discussing the purchase of an apartment. He does not think that he had a relationship of friendship with Robert Murat, he being certain that the conversations he had with him at the time were circumstantial. 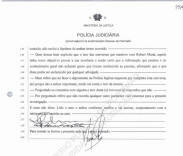 --- That he came to Portugal on 10 May 2007, to spend a week's vacation in the company of his family, having the objective to occupy the apartment he had acquired, however, this did not happen for reasons beyond his will, specifically certain missing licenses allowing the property to be occupied. Accordingly, they had to take another apartment and part of the family ended up as guests in the Salsalito boarding house, that being the reason they had spent much time in those facilities [at that place]. --- When he came to Portugal he was already aware of the disappearance of the child Madeline McCann, as the matter was widely reported in the English press. 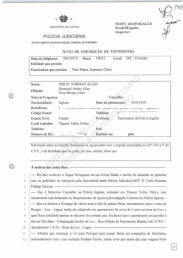 --- Some relatives were put up in the Salsalito boarding house, he being certain that he stayed in an apartment located in Praia da Luz, although and as said above they spent much time at the premises of the boarding house. 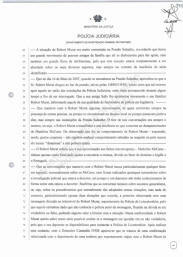 --- Taking into account the relationship of friendship he has with the owners of the Salsalito boarding house, Ralph and Sally Eveleigh, during the weekend of 12/13 May 2007, from hearing several conversations he perceived that Robert Murat had become a suspect in course of the investigation by Portuguese police in connection with the disappearance of Madeline McCann, however he did not know any concrete details about the situation. --- He confirms that on May 14, 2007 he was certain about the situation of the suspect Robert Murat, given that his family, Sally and Ralph Eveleigh had a conversation with him. The content of this conversation was in essence that Sally and Ralph were fully convinced of the innocence of Robert Murat in respect of the disappearance of Madeline McCann. Effectively, the friends wanted some clarification on the legal and police procedures in such situations, but due to lack of evidence they had about the facts he had limited himself only to making a short comment on the way things were done in England. --- Robert Murat's situation was much commented on [criticised] in the Salsalito boarding house, he recalling that there was a large movement of family friends who went to give support, but also a large influx of phone calls, so this subject was constantly being addressed in many different ways, but always on the side of the innocence of the identified man. 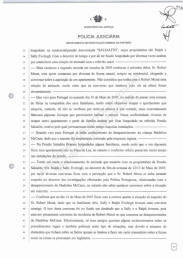 --- That on 16 May 2007, when at the Salsalito boarding house, he became aware that Robert Murat had come to the bar of the boarding house, perhaps at 14H00/15H00, he being certain that this occurred after he [RM] had left the premises of the Judicial Police, where he had been questioned for some time. That his [PA] friend, Sally, introduced him [PA] again to her relative Robert Murat, informing him [RM] that he [PA] was a police officer in England. --- That he had had some conversations with Robert Murat, which were always in the presence of others, either because they found themselves in the same location, or because they spent time together, but always on the premises of the Salsalito boarding house. 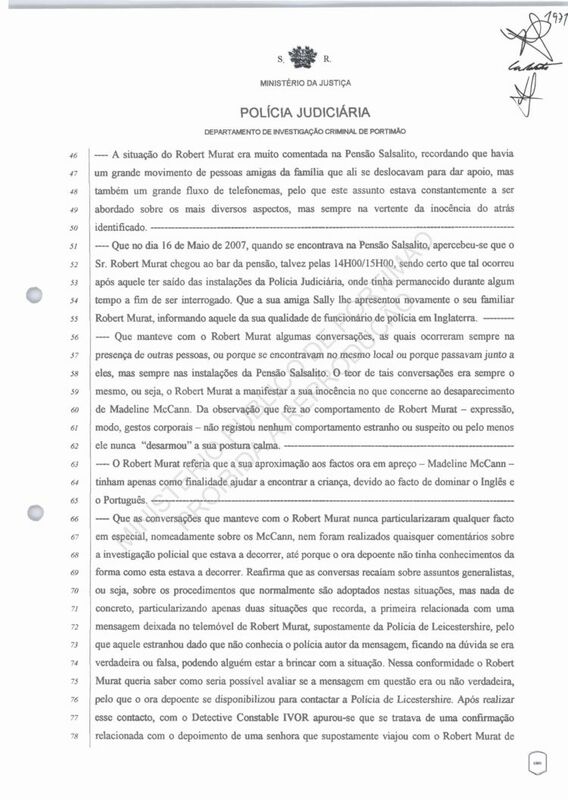 The content of these discussions was always the same, namely Robert Murat expressed his innocence regarding the disappearance of Madeline McCann. Regarding his observations of the behaviour of Robert Murat ' expression, manner, physical gestures ' he did not note any strange or suspicious behaviour or at least he never "disarmed" [dropped] his calm posture. --- Robert Murat said that [in] his approach to the case before us - Madeline McCann ' he had only intended to help find the child, due to his command of English and Portuguese. --- That the talks he had with Robert Murat they never detailed any particular fact, namely about the McCanns, nor were any comments made about the police investigation that was taking place, because at that time the deponent had no knowledge of how it [the investigation] was going. He reaffirms that the talks relapsed into general issues, or on the procedures that are usually adopted in these situations, but nothing concrete, detailing only two situations that he realls, the first related to a message left on Robert Murat's cell phone, supposedly from the Leicestershire Police, but was surprised given that he did not know the police author of the message, leaving in doubt if it was true or false, someone could be playing a game with the situation. Accordingly Robert Murat wanted to know how it would be possible to find out if the message in question was true or not, and whether the deponent was able to contact Leicestershire Police. After contacting Detective Constable IVOR it was determined that it was a confirmation relating to the testimony of a woman who allegedly travelled on the plane with Robert Murat when both moved to Portugal. 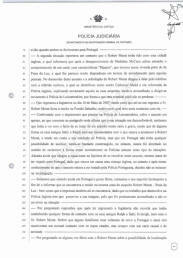 --- The second situation referred to a contact that Robert Murat had had with a female British citizen, who informed that after the disappearance of Madeline McCann had thought that the behaviour of a couple, with characteristics of "Hippies" was strange, and who lived in a villa close to the Praia da Luz, which seemed very expensive in terms of rental for those people. The outcome of this matter and the solicitation of Robert Murat resulted in him [PA] talking by phone with the lady referred to, who was identified as C******** M*** and was retired from the English Police, explaining again her suspicions, having advised her to address the Leicestershire Police again, so that the possible lead would not be lost. --- That he returned to England on 18 May 2007, and is sure that up to his return Mr. Robert Murat was residing in Salsalito boarding house, that being the reason that he had more contact with him. --- Confronted with the deposition that he gave to the Leicestershire Police on the matter at hand, concerning the paragraph which affirms that his position was uncomfortable, he explains that it had to do with the fact that this is a very serious and grave subject, it being that the way his friends Sally and Ralph were upset with what was happening to Robert Murat, and taking into account his position as a Police officer, but that in Portugal he had no possible way of helping [them], he felt very uncomfortable, however, he was never compromised in the sense of explaining how the police acted in these types of situations. 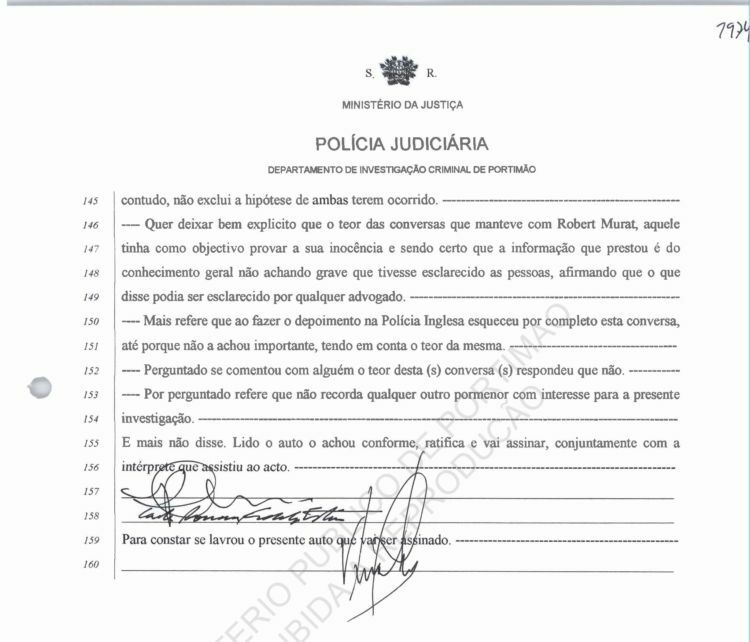 He advances further that he considered the possibility of getting involved in this matter, even before he travelled to Portugal as it concerned an English child, however and after becoming aware of the way that the Portuguese police were handling the matter, he decided not to meddle [intervene; interfere] in the investigation. 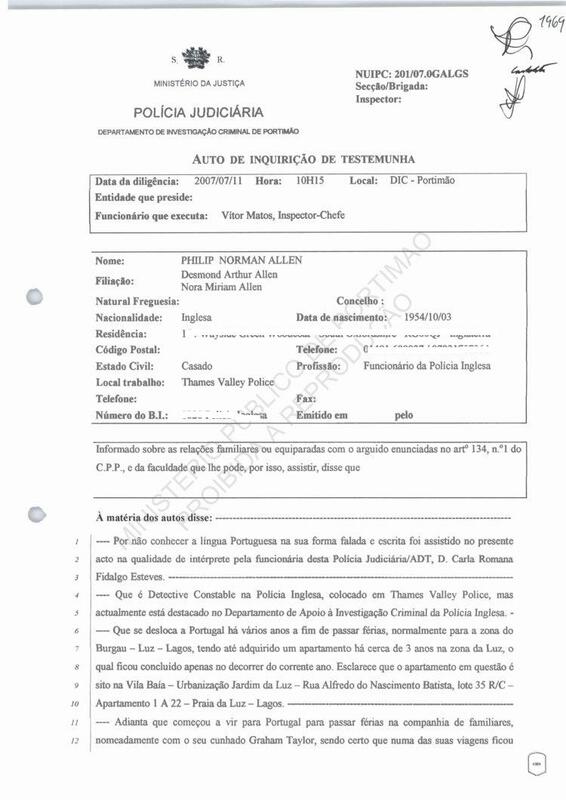 --- He explains that whilst still in Portugal enjoying the holidays, he contacted his superior in order to inform him that he was living in the same area as suspect Robert Murat - Praia da Luz - and that the press were also there, given that in his work as an English Police Officer he has to preserve its image, and was promptly advised to not get involved in the situation. --- When asked he replied that after having returned to England he does not recall having had [established] any contact with his friends Ralph and Sally Eveleigh, nor with Mr. Robert Murat. He states that some of his family returned again to Portugal and they had maintained normal contact with the above mentioned, but always with a casual nature and of friendship. --- Asked if he ever spoke to Robert Murat about the possibility of locating mobile phones, he answered that he recalls a conversation that he [PA] had with him [RM], he does not know if the question was approached by Murat himself, or by a friend of his by the name of Tuck Price. The purpose of the conversation ended up being Murat's interest in whether the police could locate his phone, and if this had occurred would it have proved his non-involvement in the disappearance of Madeline McCann. Moreover, he remembers that the interest relapsed into the possibility of a location being detailed, that is, almost the exact location. He states that he responded that this was possible, that it could be located in a very precise area, but emphasised that it was the phone that was located and therefore the user could not be determined. From what he remembers this conversation occurred in the Salsalito boarding house and in the presence of other people, and associates this conversation with the bar. 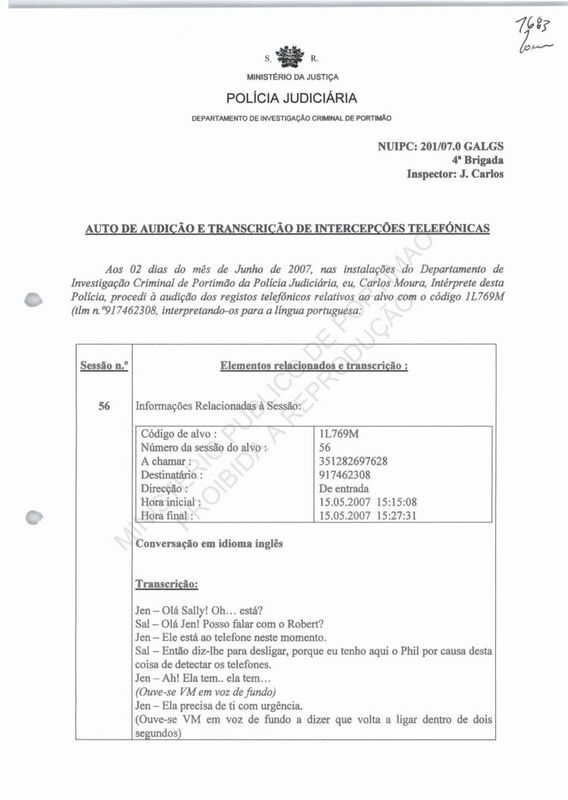 --- Moreover, he states that these matters relating to the location of mobile phones are an information that is generally known in England, given that during trials there is great emphasis on this evidence, so this type of information is of common knowledge. He affirms with certainty that this conversation took place after the 14 May, 2007, i.e. after Robert Murat was a suspect in the investigations arising from the disappearance of Madeline McCann. --- He adds that the tenor of the question now before us seemed as a genuine intention of Robert Murat wanting to prove his innocence and not as a way to collect information on police procedure. As stated this information is widely known in England, and he thinks that his explanation did not break any confidentiality or professional secrecy. 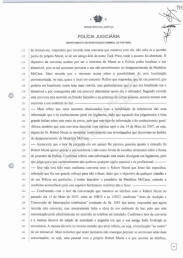 --- That he will not have had any further conversation with Robert Murat that was so specific, indicating that he made a great effort not to do so, since the goal of every citizen and of the police in particular, is trying to discover Madeline McCann's whereabouts, and as directed by his superior decided not to do so [not to converse further]. --- Confronted with the content of the conversation that he conducted on the telephone with Robert Murat on May 15, 2007, between 15H15 and 15H27 as "Statement of Hearing and Transcript of telephone interceptions" in the case pages 1683 onwards, he replied that he recalls this conversation now, but honestly had the idea of a bar environment, because this conversation may actually have occurred on the phone installed there. He confirms the content of the conversation and that it follows the state of anxiety and anguish in which his friend Sally Eveleigh found herself. It follows in the same sense as above, i.e. as in the location "to the meter" of a cell phone. He explains further that at this time he cannot state exactly if there were two conversations, in other words, one personally with Robert Murat himself and one that took place on the telephone, however, does not exclude the possibility of both having occurred. --- He wants to make it very clear [be explicit] that the content of the conversations he had with Robert Murat, had the objective of proving his innocence and he is certain that the information he provided is well known, not believing [to be] serious what he explained to the people, stating that what he had said could be explained by any lawyer. --- He states further that in giving the testimony to the English Police he had completely forgotten this conversation, because he had not thought it important, taking into account its content. --- Asked if hae had spoken with anyone about the content(s) of the(se) talk(s), he replied that he had not. --- When asked he states that he does not recall any other detail of interest to this investigation. No more was said. Read through, ratified and will sign together with the interpreter who witnessed the act. Signed in the presence of myself who took the testimony.